Description: GET 2 FOR THE PRICE OF 1! 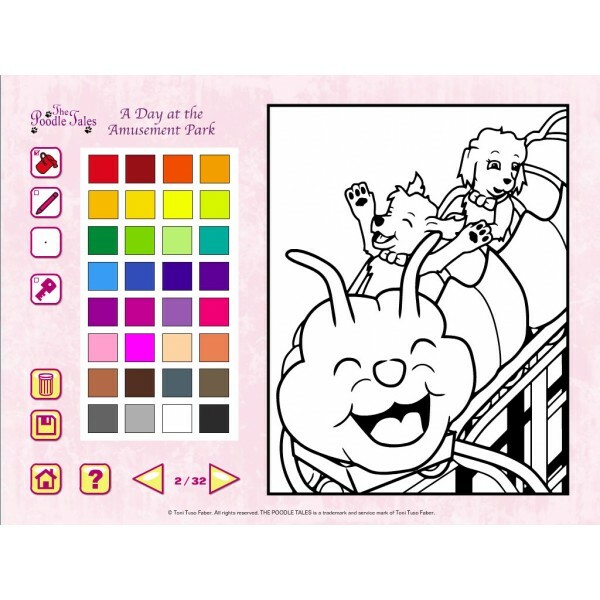 The entire A Day At The Amusement Park coloring and activity book available as a digital download in both printable (PDF) and interactive (SWF) formats. 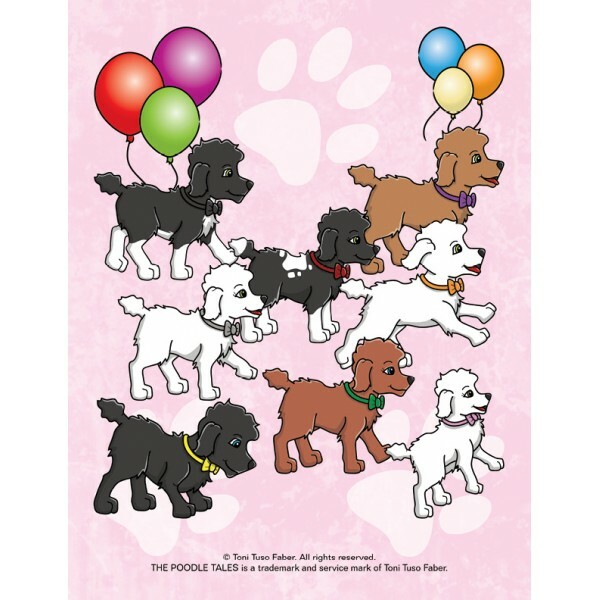 Note: After purchase, these files become available for download when you log into your account and click the "Downloads" link under the heading "My Orders." 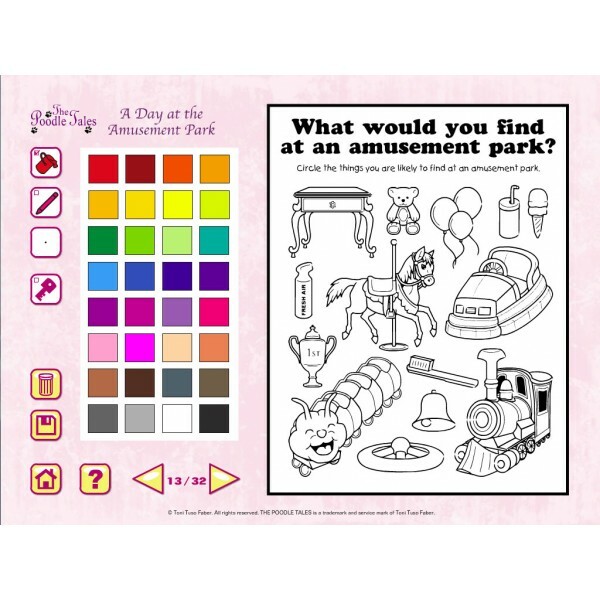 The printable version can be opened in any application that supports the PDF format. Click Here to download the latest Adobe Flash Player. Click Here to download the latest Adobe Acrobat Reader. Click Here to try out a demo. Synopsis: What happens when a bunch of poo pups want to have a fun-filled trip? 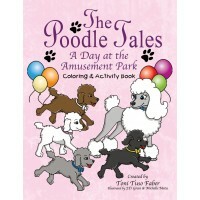 They go for "A Day At The Amusement Park"!